Life can throw you a curve ball when you least expect it, but it doesn’t have to knock you down to the ground. We’ve helped many of your neighbors in Cherokee County dust themselves off and get back on their feet with family law matters including divorce, separation and child support issues. Those are just a few of the many family law services we offer by tapping into our many extensive legal resources at the Wirth Law Office – Tahlequah a division of the powerhouse Wirth Law Office. As a Tahlequah family law attorney in your community, I’m here to make sure legal matters that hit close to home are dealt with in a professional, smart and timely manner in the courts here Cherokee County and the surrounding community. That answer is simple, we offer you the service you deserve. We provide clients with what they want most — to have their messages returned quickly, questions answered — no matter how big or small — and a to have a trusted ally in their corner. 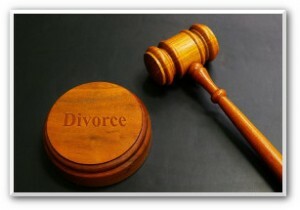 Put simply, we provide the family law services you need. If you don’t see the type of family law service you need listed above, contact our office to discuss your situation. Family law is quite different from every other type of law because the results will affect you personally for the rest of your life. That’s why you need someone who will be there to fight for you from the first moment and make sure your personal and financial interests are protected now and in the future. For a free, confidential consultation with a Talhequah Oklahoma lawyer call the Wirth Law Office – Tahlequah at (918) 458-2677 or toll free at (888) 447-7262. Or, as always, you may enter a legal question in the form at the top right of this page or email firm@tahlequahattorney.com.